Titan is the only FDA approved method for laser skin tightening, with results and research to back up its collagen restructuring procedure. At the Laser Hair and Skin Centre, we offer you Titan™ by CUTERA™; a revolutionary skin tightening, collagen rejuvenating system. 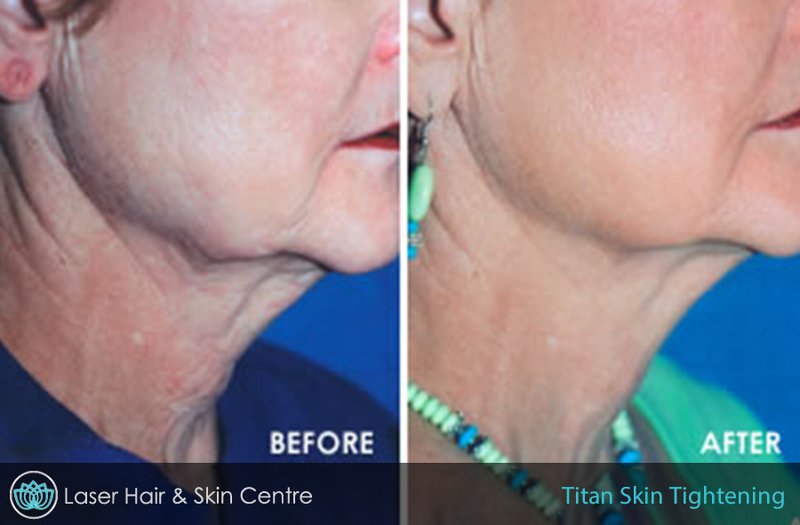 Titan™ uses near-infrared light safely, treating through the top layers of the skin using the cooling tip to protect the skins surface (epidermis), into deeper layers of the skin resulting in the tightening of the collagen structure. The light from the wand is absorbed by water in the skin tissue at a depth on 1-3mm beneath the skin, resulting in the desired effects of our clients. Because of the infrared energy distributed safely through its sapphire cooling tip, Titan™ tightens your skin comfortably with virtually zero downtime. Our staff will be pleased to provide you with a free consultation to create a plan unique to your desired results. Since this treatment uses heat to treat under the skin, clients of any age or skin type are able to take full advantage of its youthful purpose. Though depending on the client, most individuals require between 1-3 treatments to fully provide them with their expected outcome. 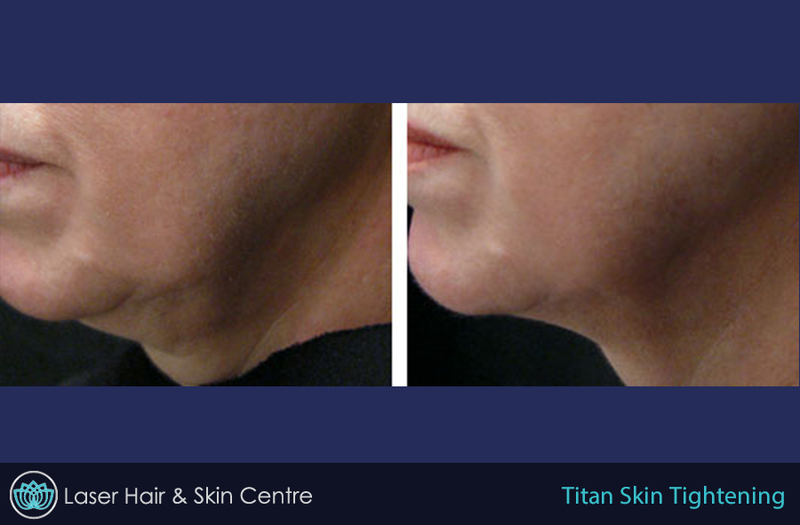 After Titan™ skin tightening, you may start seeing results within a couple of weeks, and benefits will be noticed at a gradual pace up to six months after the treatment. Time wise, this is due to the specific period it takes each client’s natural healing process to build new collagen. 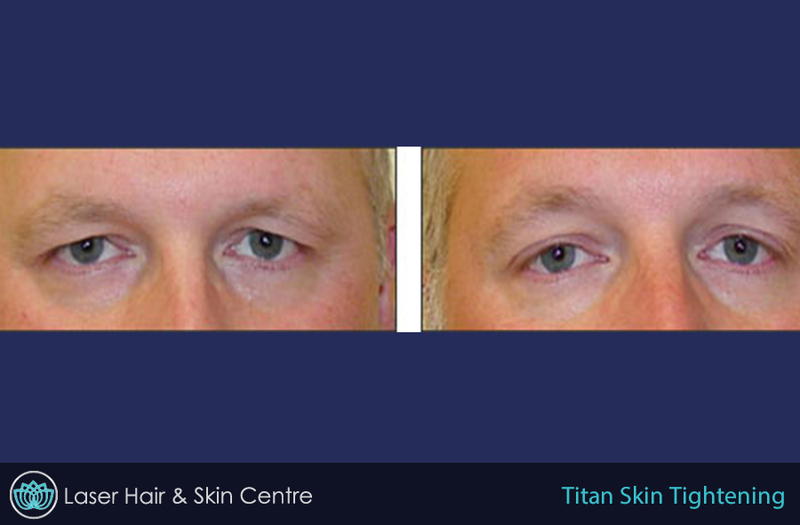 The Laser Hair Centre is one among few within Calgary, or even Alberta, with the Titan™ system running alongside our fully trained and certified technicians. Clinical results confirm improvement in over 90 percent of patients treated with Titan™; and when compared to radio wave thermal technology, the Titan™ was proven up to twice as effective. We are reversing the signs of aging here at the Laser Hair Centre with the latest technology, the fastest, safest and most comfortable way available. Come down to the our Calgary Laser Hair and Skin Centre location today to book your appointment for laser hair removal, skin tightening, tattoo removal, pigmentation treatment, microdermabrasion, and skin rejuvenation treatments. Before we book any appointments we require you to come in for a free consultation to ensure the procedure is right for you.